London : Abortion rates among women in London were highest than the rest of England, new figures have revealed. Data from the Office for National Statistics (ONS) revealed wide regional variations. Knowsley in Merseyside had the highest rate outside London, BBC reported on Thursday. Barking and Dagenham had the highest overall abortion rate, at 29 for every 1,000 women aged 15 to 44. The ONS said the total number of abortions was “fairly constant” at 185,824 in 2015, a rise of 0.7 percent on the year before. 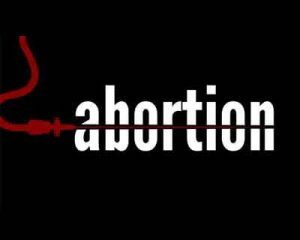 In some areas, almost half of all cases were “repeat” abortions. The highest rate was among 20 to 24-year-olds, with 53 abortions for every 1,000 women. Since 2005, abortion rates for women aged 30 to 34 in England and Wales have gone up from 14.5 per 1,000 women to 17.1 in 2015 – an 18 percent rise.